In education, he serves as Director of OHSU's Biomedical Informatics Graduate Program, which includes two master's degrees (research and professional), a PhD degree, and Graduate Certificate. Dr. Hersh also spearheaded OHSU's efforts in distance learning for biomedical informatics, which is available up to the master's degree level. He also conceptualized and implemented the first offering of the American Medical Informatics Association (AMIA) 10x10 ("ten by ten") program, which has provided education to over 2500 health care professionals and others in biomedical informatics. He also serves as Co-Editor with Robert Hoyt, MD of the textbook, Health Informatics: Practical Guide, Seventh Edition (Lulu.com, 2018), which is available in paper and eBook format. 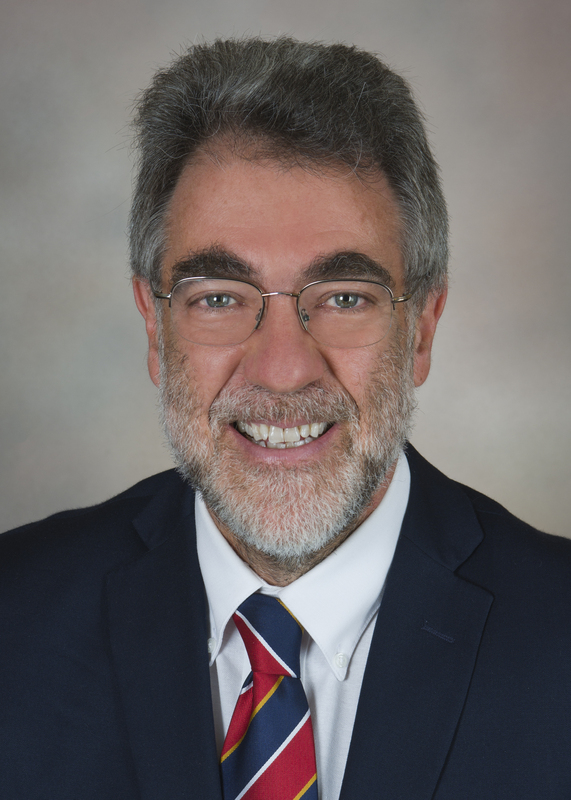 Dr. Hersh also serves as Director of OHSU's Research Fellowship in Biomedical Informatics, which is funded by a training grant from the National Library of Medicine, and as Associate Program Director of OHSU's ACGME-accredited Clinical Informatics Fellowship. Dr. Hersh has also been involved in other global efforts to expand informatics capacity through education, collaborating with colleagues at Hospital Italiano of Buenos Aires, Argentina, in Singapore, and elsewhere. He also co-leads efforts to teach clinical informatics to other health professions students. He helped define competencies and shape the curriulum for OHSU medical students. 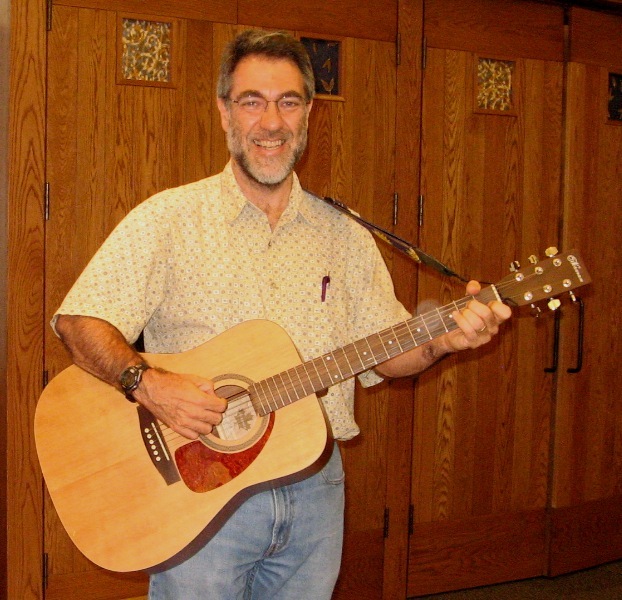 He has also been involved in the teaching of nursing, graduate basic science, and undergraduate health science majors (at Portland State University). Dr. Hersh has also made many contributions in research. His research originally focused in the area of information retrieval, where he has authored over 150 scientific papers as well as the book, Information Retrieval: A Health and Biomedical Perspective (Springer, 2009), now in its third edition and which has an associated Web site. Dr. Hersh is also co-editor of the book (with Robert Hoyt, MD) Health Informatics: Practical Guide, which is available in paper and eBook format. He has also been involved in the leadership of various aspects of the Text Retrieval Conference (TREC) sponsored by the National Institute of Standards and Technology (NIST). Dr. Hersh is also active in clinical research informatics. He served as Director of the Biomedical Informatics Program of the Oregon Clinical & Translational Research Institute (OCTRI) from 2006-2014 and was Chair of the National Informatics Steering Committee of the Clinical & Translational Science Award (CTSA) program of the National Institutes of Health from 2006-2008. Dr. Hersh has won numerous awards for his innovations. These include the OHSU Faculty Senate Distinguished Faculty Award for outstanding teaching in 2007; the 2008 AMIA Donald A.B. Lindberg Award for Innovation in Informatics; being named among the Modern Healthcare Top 25 Clinical Informaticists in 2010, 2011, and 2012; and the HIMSS Physician Leadership Award in 2015. He is an elected Fellow of the American College of Medical Informatics and the American College of Physicians. He is among the inaugural 121 members of the International Academy of Health Sciences Informatics. Dr. Hersh obtained his B.S. in Biology from the University of Illinois at Champaign-Urbana in 1980 and his M.D. from the University of Illinois at Chicago in 1984. After finishing a residency in Internal Medicine at University of Illinois Hospital in Chicago in 1987, he completed a Fellowship in Medical Informatics at Harvard University in 1990. Dr. Hersh has been at OHSU since 1990. We encourage everyone to like our informatics program on Facebook: http://www.facebook.com/ohsu.informatics. We have also established a Facebook page for the OHSU offering of the AMIA 10x10 Program: http://www.facebook.com/ohsu10x10. On LinkedIn, we have established a group there for our informatics program as well. I was also featured in an executive profile in the Portland Business Journal. This publication has featured myself and/or our program a number of times. My fitness routine was featured in our local newspaper, the Oregonian, in 2004 and is for the most part still up to date (as of 2018)! 1. Hersh WR, Kronfol NO, A microcomputer database for the outpatient hemodialysis setting, Proceedings of the American Association for Medical Systems and Informatics Congress, 1987, 129-133. 2. Kronfol NO, Hersh WR, Barakat MM, Effects of 25(OH)-Vitamin D in hypocalcemic patients on chronic hemodialysis, Transactions of the American Society for Artificial Internal Organs, 1987, 33: 289-292. 3. Greenes RA, Tarabar DB, Krauss M, Anderson G, Wolnik WJ, Cope L, Slosser E, Hersh WR, Knowledge management as a decision support method: a diagnostic workup strategy application, Computers and Biomedical Research, 1989, 22: 113-135. 4. Greenes RA, Tarabar DB, Krauss M, Cope L, Slosser E, Hersh WR, Pattison-Gordon E, Abendroth T, Rathe R, Snydr-Michal J, Explorer-2: an object-oriented framework for knowledge management, MEDINFO 89, 1989, 29-33. 5. Hersh WR, Greenes RA, SAPHIRE: an information retrieval system featuring concept matching, automatic indexing, probabilistic retrieval, and hierarchical relationships, Computers and Biomedical Research, 1990, 23: 410-425. 6. Hersh WR, Greenes RA, Information retrieval in medicine: state of the art, M.D. Computing, 1990, 7: 302-311. 7. Hersh WR, Pattison-Gordon E, Greenes RA, Evans DA, Adaptation of Meta-1 for use in SAPHIRE, a general-purpose information retrieval system, Proceedings of the 14th Annual Symposium on Computer Applications in Medical Care, 1990, 156-160. 8. Hersh WR, Evaluation of Meta-1 for a concept-based approach to the automated indexing and retrieval of bibliographic and full-text databases, Medical Decision Making, 1991,11: S120-124. 9. Evans DA, Hersh WR, Monarch IA, Lefferts RG, Handerson SK, Automatic indexing of abstracts via natural language processing using a simple thesaurus, Medical Decision Making, 1991, 11: S108-S115. 10. Hersh WR, Hickam DH, Haynes RB, McKibbon KA, Evaluation of SAPHIRE: an automated approach to indexing and retrieving medical literature, Proceedings of the 15th Annual Symposium on Computer Applications in Medical Care, 1991, 808-812. 11. Hersh WR, Hickam DH, A comparative analysis of retrieval effectiveness for three methods of indexing medical literature, American Journal of the Medical Sciences, 1992, 303: 293-300. 12. Hersh WR, Evans DA, Monarch IA, Lefferts RG, Handerson SK, Gorman PN, Indexing effectiveness of linguistic and non-linguistic approaches to automated indexing, MEDINFO 92, 1992, 1402-1408. 13. Evans DA, Chute CG, Handerson SK, Yang Y, Monarch IA, Hersh WR, Mapping vocabularies using �latent semantics,� MEDINFO 92, 1992, 1462-1468. 14. Hersh WR, Hickam DH, Leone TJ, Words, concepts, or both: optimal indexing units for automated information retrieval, Proceedings of the 16th Annual Symposium on Computer Applications in Medical Care, 1992, 644-648. 15. Hersh WR, Hickam DH, A comparison of two methods for indexing and retrieval from a full-text medical database, Medical Decision Making, 1993, 13: 220-226. 16. Hersh WR, Hickam DH, Haynes RB, McKibbon KA, A performance and failure analysis of SAPHIRE with a MEDLINE test collection, Journal of the American Medical Informatics Association, 1994, 1: 51-60. 17. Hersh WR, Relevance and retrieval evaluation: perspectives from medicine, Journal of the American Society for Information Science, 1994, 45: 201-206. 18. Evans DA, Cimino JJ, Hersh WR, Huff SM, Bell DS, Toward a medical concept representation language, Journal of the American Medical Informatics Association, 1994, 1: 207-217. 19. Hersh WR, Buckley C, Leone TJ, Hickam DH, OHSUMED: an interactive retrieval evaluation and new large test collection for research, Proceedings of the 17th Annual ACM SIGIR Conference on Research and Development in Information Retrieval , 1994, 192-201. 20. Hersh WR, Hickam DH, Use of a multi-application computer workstation in a clinical setting, Bulletin of the Medical Library Association, 1994, 82: 382-389. 22. Friedman C, Huff SM, Hersh WR, Gordon EP, and Cimino JJ, The Canon Group's effort: working toward a merged model, Journal of the American Medical Informatics Association, 1995, 2: 4-18. 23. Hersh WR, Hickam DH, An evaluation of interactive Boolean and natural language searching with an on-line medical textbook, Journal of the American Society for Information Science, 1995, 46: 478-489. 24. Hersh WR, Hickam DH, Information retrieval in medicine: the SAPHIRE experience, Journal of the American Society for Information Science, 1995, 46: 743-747. 25. Hersh WR, The electronic medical record: promises and problems, Journal of the American Society for Information Science, 1995, 46: 772-776. 26. Hersh WR, Leone TJ, The SAPHIRE server, Proceedings of the 19th Annual Symposium on Computer Applications in Medical Care, 1995, 858-862. 27. Hersh WR, Pentecost J, Hickam DH, A task-oriented approach to retrieval evaluation, Journal of the American Society for Information Science, 1996, 47: 50-56. 28. Hersh WR, Brown KE, Donohoe LC, Campbell EM, Horacek AE, CliniWeb: managing clinical information on the World Wide Web, Journal of the American Medical Informatics Association, 1996, 3: 273-280. 29. Hersh WR, Campbell EM, Evans DA, Brownlow ND, Empirical, automated vocabulary discovery using large text corpora and advanced natural language processing tools, Proceedings of the 1996 AMIA Annual Symposium, 1996, 159-163. 30. Ertle AR, Campbell EM, Hersh WR, Automated application of clinical practice guidelines for asthma management, Proceedings of the 1996 AMIA Annual Symposium, 1996, 552-556. 31. Evans DA, Brownlow ND, Hersh WR, Campbell EM, Automating concept identification in the electronic medical record: an experiment in extracting dosage information, Proceedings of the 1996 AMIA Annual Symposium, 1996, 388-392. 32. Spackman KA, Hersh WR, Recognizing noun phrases in medical discharge summaries: an evaluation of two natural language parsers, Proceedings of the 1996 AMIA Annual Symposium, 1996, 155-158. 33. Hersh WR, Campbell EM, Malveau SE, Assessing the feasibility of large-scale natural language processing in a corpus of ordinary medical records: a lexical analysis, Proceedings of the 1997 AMIA Annual Symposium, 1997, 580-584. 34. Detmer WM, Barnett GO, Hersh WR, MedWeaver: integrating decision support, literature searching, and Web exploration using the UMLS Metathesaurus, Proceedings of the 1997 AMIA Annual Symposium, 1997, 490-494. 35. Hersh W, Leen T, Rehfuss S, Malveau S, Automatic prediction of trauma registry procedure codes from emergency room dictations, MEDINFO 98, 1998, 665-669. 36. Hersh WR, Hickam DH, How well do physicians use electronic information retrieval systems? A framework for investigation and systematic review, Journal of the American Medical Association, 1998, 280: 1347-1352. 37. Hersh WR, Information retrieval at the millenium, Proceedings of the 1998 AMIA Annual Symposium, 1998, 38-45. 38. Ash JS, Gorman PN, Hersh WR, Physician order entry in U.S. hospitals, Proceedings of the 1998 AMIA Annual Symposium, 1998, 235-239. 39. Munoz FR, Hersh WR, MCM Generator: a Java-based tool for generating medical metadata, Proceedings of the 1998 AMIA Annual Symposium, 1998, 648-652. 40. Zacks MP, Hersh WR, Developing search strategies for detecting high quality reviews in a hypertext test collection, Proceedings of the 1998 AMIA Annual Symposium, 1998, 663-667. 41. Hersh WR, Donohoe LC, SAPHIRE International: a tool for cross-language information retrieval, Proceedings of the 1998 AMIA Annual Symposium, 1998, 673-677. 42. Lowe HJ, Antipov I, Hersh WR, Smith CA, Toward knowledge-based retrieval of medical images. The role of semantic indexing, image content representation, and knowledge-based retrieval, Proceedings of the 1998 AMIA Annual Symposium, 1998, 882-886. 43. Malet G, Munoz F, Appleyard R, Hersh WR, A model for enhancing Internet medical document retrieval with �medical core metadata,� Journal of the American Medical Informatics Association, 1999, 6: 183-208. 44. Hersh WR, �A world of knowledge at your fingertips�: promise, reality, and future directions, Academic Medicine, 1999, 74: 30-33. 45. Ash JS, Hersh WR, Krages KP, Morgan JE, Schumacher R, The Oregon IAIMS: then and now, Bulletin of the Medical Library Association, 1999, 37: 347-349. 46. Hersh W, Price S, Kraemer D, Chan B, Sacherek L, Olson D, System and user attributes associated with successful searching, Advances in Digital Libraries �99, 1999, 60-70. 47. Lowe HJ, Antipov I, Hersh WR, Smith CA, Representing images in the multimedia electronic medical record combining semantic indexing and image content-based representation to support knowledge-based retrieval of medical images, Methods of Information in Medicine, 1999, 38: 303-307. 48. Hersh W, Ball A, Day B, Masterson M, Zhang L, Sacherek L, Maintaining a catalog of manually-indexed, clinically-oriented World Wide Web content, Proceedings of the 1999 AMIA Annual Symposium, 1999, 790-794. 49. Price S, Hersh W, Filtering Web pages for quality indicators: an empirical approach to finding high quality consumer health information on the World Wide Web, Proceedings of the 1999 AMIA Annual Symposium, 1999, 911-915. 50. Caton K, Hersh W, Williams J, Implementation and evaluation of a virtual learning center for distributed education, Proceedings of the 1999 AMIA Annual Symposium, 1999, 491-495. 51. Ash JS, Gorman PN, Hersh WR, Poulsen SB, Perceptions of house officers who use physician order entry, Proceedings of the 1999 AMIA Annual Symposium, 1999, 471-475. 52. Stead WW, Miller RA, Musen M, Hersh W, Integration and beyond: linking information from disparate sources and into workflow, Journal of the American Medical Informatics Association, 2000, 7: 135-145. 53. Hersh W, Turpin A, Price S, Kraemer D, Chan B, Sacherek L, Olson D, Do batch and user evaluations give the same results?, Proceedings of the 23rd Annual ACM SIGIR Conference on Research and Development in Information Retrieval, 2000, 17-24. 54. Hersh WR, Crabtree MK, Hickam DH, Sacherek L, Rose L, Friedman CP, Factors associated with successful answering of clinical questions using an information retrieval system, Bulletin of the Medical Library Association, 2000, 88: 323-331. 55. Hersh WR, Price S, Donohoe L, Assessing thesaurus-based query expansion using the UMLS Metathesaurus, Proceedings of the 2000 Annual AMIA Fall Symposium, 2000, 344-348. 56. Selsky D, Eisenberg F, Spena R, Hersh W, Price S, Buitendijk I, Knowledge integration: insight through the e-Portal, Journal of Healthcare Information Management, 2001, 15: 13-24. 57. Hersh W, Turpin A, Price S, Kraemer D, Sacherek L, Olson D, Chan B, Challenging conventional assumptions of information retrieval with real users: Boolean searching and batch retrieval evaluations, Information Processing & Management, 2001, 37: 383-402. 58. Turpin A, Hersh W, Why batch and user evaluations do not give the same results, Proceedings of the 24th Annual ACM SIGIR Conference on Research and Development in Information Retrieval, 2001, 225-231. 59. Hersh WR, Junium K, Mailhot M, Tidmarsh P, Implementation and evaluation of a medical informatics distance learning program, Journal of the American Medical Informatics Association , 2001, 8: 570-584. 60. Hersh WR, Helfand M, Wallace JA, Kraemer DF, Patterson PK, Shapiro SE, Greenlick MR, Clinical outcomes resulting from telemedicine interventions: a systematic review, BMC Medical Informatics & Decision Making, 2001, 1:5. 61. Hersh WR, Mailhot MF, Lowe HJ, Smith CA, Selective automated indexing of findings and diagnoses in radiology reports, Journal of Biomedical Informatics, 2001, 34: 262-273. 62. Hersh WR, Medical informatics education: an alternative pathway for training the informationist, Journal of the Medical Library Association, 2002, 90: 76-79. 63. Hersh WR, Crabtree MK, Hickam DH, Sacherek L, Friedman CP, Tidmarsh P, Moesbaek C, Kraemer D, Factors associated with success for searching MEDLINE and applying evidence to answer clinical questions, Journal of the American Medical Informatics Association, 2002, 9: 283-293. 64. Overhage JM, Middleton B, Miller R, Zielstorff, RD, Hersh WR, Does national regulatory mandate of provider order entry, to take effect by the end of 2005, portend greater benefit than risk for health care delivery? The 2001 ACMI debate, Journal of the American Medical Informatics Association, 2002, 9: 199-208. 65. Hersh WR, Helfand M, Wallace JA, Kraemer DF, Patterson PK, Shapiro SE, Greenlick MR, A systematic review of the efficacy of telemedicine for making diagnostic and management decisions, Journal of Telemedicine and Telecare, 2002, 8: 197-209. 66. Hersh WR, Gorman PN, Ruback T, Implementation and evaluation of a medical informatics curriculum for physician assistant students, Perspective on Physician Assistant Education, 2002, 13: 7-10. 67. Hersh WR, Medical Informatics: improving health care through information, Journal of the American Medical Association, 2002, 288: 1955-1958. 68. Hersh W, Miller R, Olson, D, Sacherek L, Cross P, Professional�s Information Link (PiL): a web-based asynchronous consultation service, Proceedings of the 2002 Annual AMIA Symposium, 2002, 325-329. 69. Tidmarsh P, Cummings J, Hersh WR, Friedman CP, Distributed medical informatics education using Internet2, Proceedings of the 2002 Annual AMIA Symposium, 2002, 787-791. 70. Price SL, Hersh WR, Olson DD, Embi PJ, SmartQuery: context-sensitive links to medical knowledge sources from the electronic patient record, Proceedings of the 2002 Annual AMIA Symposium, 2002, 627-631. 71. Dubay CJ, Brundege JM, Hersh W, Spackman K, Delivering bioinformatics training: bridging the gaps between computer science and biomedicine, Proceedings of the 2002 Annual AMIA Symposium, 2002, 220-224. 72. Huang Y, Lowe HJ, Hersh WR, A pilot study of contextual UMLS indexing to improve the precision of concept-based representation in XML-structured clinical radiology reports, Journal of the American Medical Informatics Association, 2003, 10: 580-587. 73. Turpin A, Hersh W, Do clarity scores for queries correlate with user performance?, Proceedings of the Fifteenth Australasian Database Conference, Dunedin, New Zealand, 2004, 85-91. 74. Ash JS, Gorman PN, Seshadri V, Hersh WR, Computerized physician order entry in U.S. hospitals: results of a 2002 survey, Journal of the American Medical Informatics Association, 2004, 11: 95-99. 75. Cohen AM, Stavri PZ, Hersh WR, A categorization and analysis of the criticisms of Evidence-Based Medicine, International Journal of Medical Informatics, 2004, 73: 35-43. 76. Hersh W, Bhupatiraju RT, Corley S, Enhancing access to the bibliome: the TREC Genomics Track, MEDINFO 2004, 773-777. 77. Tran D, Dubay C, Gorman P, Hersh W, Applying task analysis to describe and facilitate bioinformatics tasks, MEDINFO 2004, 818-822. 78. Tian X, Hersh W, Logan J, Bennett R, A database for Chinese outpatients with rheumatic diseases, MEDINFO 2004, 256-259. 79. Cohen AM, Hersh WR, A survey of current work in biomedical text mining, Briefings in Bioinformatics, 2005, 6: 57-71. 80. Cohen AM, Hersh WR, Dubay C, Spackman KA, Using co-occurrence network structure to extract synonymous gene and protein names from MEDLINE abstracts. BMC Bioinformatics, 2005, 6: 103. 81. M�ller H, Clough P, Hersh W, Geissbuhler A, IMAGECLEF 2004�2005: results, experiences and new ideas for image retrieval evaluation, CBMI 2005 - Fourth International Workshop on Content-Based Multimedia Indexing, 2005. 82. Hersh W, Evaluation of biomedical text mining systems: lessons learned from information retrieval, Briefings in Bioinformatics, 2005, 6: 344-356. 83. M�ller H, Clough P, Hersh W, Deselaers T, Lehmann T, Geissbuhler A, Evaluation axes for medical image retrieval systems the ImageCLEF experience, ACM Multimedia 2005, 2005. 84. Bernstam EV, Herskovic JR, Aphinyanaphongs Y, Aliferis CF, Sriram MG, Hersh WR, Using citation data to improve retrieval from MEDLINE, Journal of the American Medical Informatics Association, 2006, 13: 96-105. 85. Hersh W, Who are the informaticians? What we know and should know, Journal of the American Medical Informatics Association, 2006, 13: 166-170. 86. Cohen AM, Hersh WR, Peterson K, Yen PY, Reducing workload in systematic review preparation using automated citation classification, Journal of the American Medical Informatics Association, 2006, 13: 206-219. 87. M�ller H, Clough P, Hersh W, Deselaers T, Lehmann T, Geissbuhler A, Using heterogeneous annotation and visual information for the benchmarking of image retrieval systems, SPIE Conference Photonics West, 2006. 88. Nicholson D, Hersh W, Gandhi TK, Weingart SN, Bates DW, Medication errors: not just a few bad apples, Journal of Clinical Outcomes Management, 2006, 13: 114-115. 89. Hersh WR, Bhupatiraju RT, Ross L, Johnson P, Cohen AM, Kraemer DF, Enhancing access to the bibliome: the TREC 2004 Genomics Track, Journal of Biomedical Discovery and Collaboration, 2006, 1:3. 90. Cohen AM, Hersh WR, The TREC 2004 Genomics Track categorization task: classifying full text biomedical documents, Journal of Biomedical Discovery and Collaboration, 2006, 1:4. 91. Hersh WR, Hickam DH, Severance SM, Dana TL, Krages KP, Helfand H, Diagnosis, access, and outcomes: update of a systematic review on telemedicine services, Journal of Telemedicine and Telecare, 2006, 12(Supp 2): 3-31. 92. M�ller H, Despont-Grosa C, Hersh W, Jensen J, Lovis C, Geissbuhler A, Health care professionals� image use and search behaviour, Proceedings of Medical Informatics Europe 2006, 24-32. 93. M�ller H, Clough P, Hersh W, Geissbuhler A, Variations of relevance assessments for medical image retrieval, Workshop on Adaptive Multimedia Retrieval (AMR) 2006, Springer Lecture Notes in Computer Science (LNCS 4398), Geneva, Switzerland, 2007, 233-247. 95. Hersh WR, Bhupatiraju RT, Greene P, Smothers V, Cohen C, Adopting e-learning standards in health care: competency-based learning in the medical informatics domain, Proceedings of the AMIA 2006 Annual Symposium, 2006, CD-ROM. 96. Hersh W, The full spectrum of biomedical informatics education at Oregon Health & Science University, Methods of Information in Medicine, 2007, 46: 80-83. 97. Herskovic JR, Tanaka LY, Hersh W, Bernstam EV, A day in the life of PubMed: analysis of a typical day�s query log, Journal of the American Medical Informatics Association, 2007, 14: 212-220. 98. Hersh W, Williamson J, Educating 10,000 informaticians by 2010: the AMIA 10x10 program, International Journal of Medical Informatics, 2007, 76: 377-382. 99. M�ller H, Boyer C, Gaudinat A, Hersh W, Geissbuhler A, Analyzing web log files of the Health on the Net HONmedia search engine to define typical image search tasks for image retrieval evaluation, MEDINFO 2007, 1319-1323. 101. Kalpathy-Cramer J, Hersh W, Automatic image modality based classification and annotation to improve medical image retrieval, MEDINFO 2007, 1334-1338. 102. Yang J, Cohen AM, Hersh W, Automatic summarization of mouse gene information by clustering and sentence extraction from MEDLINE abstracts, Proceedings of the AMIA 2007 Annual Symposium, 2007, CD-ROM. 103. Rekapalli HK, Cohen, AM, Hersh W, A comparative analysis of retrieval features used in the TREC 2006 Genomics Track passage retrieval task, Proceedings of the AMIA 2007 Annual Symposium, 2007, CD-ROM. 104. Bhupatiraju RT, Hersh WR, Smothers V, Fordis M, Greene PS, The MERG Suite: tools for discovering competencies and associated learning resources, BMC Source Code for Biology and Medicine, 2008, 3: 7. 105. Altman RB, Balling R, Brinkley JF, Coiera E, Consorti F, Dhansay MA, Geissbuhler A, Hersh W, Kwankam SY, Lorenzi NM, Martin-Sanchez F, Mihalas GI, Shahar Y, Takabayashi K, Wiederhold G, Commentaries on �informatics and medicine: from molecules to populations,� Methods of Information in Medicine, 2008, 47: 296-317. 106. Kirschner N, Pauker SG, Stubbs JW, Newman MM, Basch P, Ejnes YD, Engel JZ, Fihn SD, Gunn SH, Hersh WR, Lahey MD, Lichtenfeld JL, Mazur EM, Pauker SG, Sha MC, Information on cost-effectiveness: an essential product of a national comparative effectiveness program, Annals of Internal Medicine, 2008, 148: 956-961. 107. Altman R, Bergman CM, Blake J, Blaschke C, Cohen A, Gannon F, Grivell L, Hahn U, Hersh, WR, Hirschman L, Jensen LJ, Krallinger M, Mons B, O�Donoghue SI, Peitsch M, Rebholz-Schumann D, Shatkay H, Valencia A, Text mining for biology: the way forward opinions from leading scientists, Genome Biology, 2008, 9(Supp 2):S7. 108. Kalpathy-Cramer J, Hersh W, Effectiveness of global features for automatic medical image classification and retrieval - the experiences of OHSU at ImageCLEFmed, Pattern Recognition Letters, 2008, 29: 2032-2038. 109. Hersh W, Wright A, What workforce is needed to implement the health information technology agenda? Analysis from the HIMSS Analytics� Database, Proceedings of the AMIA 2008 Annual Symposium, 2008, 303-307. 110. Feldman SS, Hersh W, Evaluating the AMIA-OHSU 10x10 program to train healthcare professionals in medical informatics, Proceedings of the AMIA 2008 Annual Symposium, 2008, 182-186. 111. Kalpathy-Cramer J, Hersh W, Kim JS, Thomas CR Jr, Wang SJ, Survival prediction models for estimating the benefit of post-operative radiation therapy for gallbladder cancer and lung cancer, Proceedings of the AMIA 2008 Annual Symposium, 2008, 348-352. 112. Hersh W, Ubiquitous but unfinished: grand challenges for information retrieval, Health Information and Libraries Journal, 2008, 25(S1): 90-93. 113. M�ller H, Kalpathy-Cramer J, Hersh W, Geissbuhler A, Using MEDLINE queries to generate image retrieval tasks for benchmarking, Studies in Health Technology and Informatics, 2008, 136: 523-528. 114. Hersh W, Kalpathy-Cramer J, M�ller H, The ImageCLEFmed medical image retrieval task test collection, Journal of Digital Imaging, 2009, 22: 648-655. 115. Yang J, Cohen A, Hersh W, Evaluation of a gene information summarization system by users during the analysis process of microarray datasets, BMC Bioinformatics. 2009, 10 Supp 2:S5. 116. Roberts PM, Cohen AM, Hersh WR, Tasks, topics and relevance judging for the TREC Genomics Track: five years of experience evaluating biomedical text information retrieval systems, Information Retrieval, 2009, 12: 81-97. 117. Hersh WR, A stimulus to define informatics and health information technology, BMC Medical Informatics and Decision Making, 2009, 9: 24, http://www.biomedcentral.com/1472-6947/9/24. 118. Bernstam EV, Hersh WR, Sim I, Eichmann D, Silverstein JC, Smith JW, Becich MJ, Unintended consequences of health information technology: a need for biomedical informatics, Journal of Biomedical Informatics, 2009, 43: 828-830. 120. Britto MT, Jimison HB, Munafo JK, Wissman J, Rogers ML, Hersh W, Usability testing finds problems for novice users of pediatric portals, Journal of the American Medical Informatics Association, 2009, 16: 660-669. 121. Willcockson IU, Johnson CW, Hersh W, Bernstam EV, Predictors of student success in graduate biomedical informatics training: introductory course and program success, Journal of the American Medical Informatics Association, 2009, 16: 837-846. 122. M�ller H, Kalpathy-Cramer J, Kahn CE, Hersh W, Comparing the quality of accessing the medical literature using content-based visual and textual information retrieval, Proceedings of the SPIE, Volume 7264, 2009, 726405-1-11. 123. Hersh WR, Margolis A, Quir�s F, Otero P, Building a health informatics workforce in developing countries, Health Affairs, 2010, 29: 274-277. 124. Mantas J, Ammenwerth E, Demiris G, Hasman A, Haux R, Hersh W, Hovenga E, Lun KC, Marin H, Martin-Sanchez F, Wright G, Recommendations of the International Medical Informatics Association (IMIA) on education in biomedical and health informatics - 1st revision. Methods of Information in Medicine, 2010, 49: 105-120. 125. Otero P, Hersh W, Luna D, Quir�s F, Translation, implementation and evaluation of a medical informatics distance-learning course for Latin America, Methods of Information in Medicine, 2010, 49: 310-315. 126. Hersh W, The health information technology workforce: estimations of demands and a framework for requirements, Applied Clinical Informatics, 2010, 1: 197-212. 127. Kalpathy-Cramer J, Bedrick S, Radhouani S, Hersh W, Eggel I, Kahn C, M�ller H, Retrieving similar cases from the medical literature - the ImageCLEF experience, Medinfo 2010, 1189-1193. 128. Stanfill MH, Williams M, Fenton SH, Jenders R, Hersh W, A systematic review of automated clinical coding and classification systems, Journal of the American Medical Informatics Association, 2010, 17: 646-651. 129. Edinger T, Cohen AM, Bedrick S, Ambert K, Hersh W, Barriers to retrieving patient information from electronic health record data: failure analysis from the TREC Medical Records Track, Proceedings of the AMIA 2012 Annual Symposium, 2012, 180-188. 130. Borbolla D, Gorman P, Del Fiol G, Mohan V, Hersh W, Otero C, Luna D, Gonzalez Bernaldo De Quiros F. Physicians perceptions of an educational support system integrated into an electronic health record. Studies in Health Technology and Informatics. 2013, 186: 125-9. 131. March CA, Steiger D, Scholl G, Mohan V, Hersh WR, Gold JA, Use of simulation to assess electronic health record safety in the intensive care unit - a pilot study, BMJ Open, 2013, 3:e002549. 132. Hersh WR, Weiner MG, Embi PJ, Logan JR, Payne PR, Bernstam EV, Lehmann HP, Hripcsak G, Hartzog TH, Cimino JJ, Saltz JH, Caveats for the use of operational electronic health record data in comparative effectiveness research, Medical Care, 2013, 51(Suppl 3): S30-S37. 133. Hersh WR, Cimino JJ, Payne PR, Embi PJ, Logan JR, Weiner MG, Bernstam EV, Lehmann HP, Hripcsak G, Hartzog TH, Saltz JH, Recommendations for the use of operational electronic health record data in comparative effectiveness research, eGEMs (Generating Evidence & Methods to improve patient outcomes), 2013, 1:14. 134. Cook DA, Sorensen KJ, Hersh W, Berger RA, Wilkinson JM, Features of effective medical knowledge resources to support point of care learning: a focus group study, PLoS ONE, 2013, 8(11):e80318. 135. Mohan V, Abbott P, Acteson S, Berner ES, Devlin C, Hammond WE, Kukafka R, Hersh W, Design and evaluation of the ONC health information technology curriculum, Journal of the American Medical Informatics Association, 2014, 21: 509-516. 136. Concannon TW, Guise JM, Dolor RJ, Meissner P, Tunis S, Krishnan JA, Pace WD, Saltz J, Hersh W, Michener L, Carey TS, A national strategy to develop pragmatic clinical trials infrastructure, Clinical and Translational Science, 2014, 7: 164-171. 137. Hersh WR, Gorman PN, Biagioli FE, Mohan V, Gold JA, Mejicano GE, Beyond information retrieval and EHR use: competencies in clinical informatics for medical education, Advances in Medical Education and Practice, 2014, 5: 205-212. 138. Stephenson LS, Gorsuch A, Hersh WR, Mohan V, Gold JA, Participation in EHR based simulation improves recognition of patient safety issues, BMC Medical Education, 2014, 14: 224. 139. Valerius, J, Mohan, V, Doctor D, Hersh W, Collaboration leads to enhanced curriculum. Applied Clinical Informatics, 2015, 6: 200-209. 140. Margolis A, Baum A, de Quir�s FGB, Joglar F, Fern�ndez A, Garc�a S, Arredondo AL, Hersh WR, Curso en l�nea de Inform�tica Biom�dica para Puerto Rico: resultados de una experiencia de colaboraci�n panamericana (Online course in Biomedical Informatics for Puerto Rico: results of a Pan-American collaboration), Investigaci�n en Educaci�n M�dica, 2015, 4: 60-68. 141. Lehmann CU, Longhurst CA, Hersh W, Mohan V, Levy BP, Embi PJ, Finnell JT, Turner AM, Martin R, Williamson J, Munger B, Clinical informatics fellowship programs: in search of a viable financial model � an open letter to the Centers for Medicare and Medicaid Services, Applied Clinical Informatics, 6: 267�270. 142. Roberts K, Simpson M, Demner-Fushman D, Voorhees E, Hersh W, State-of-the-art in biomedical literature retrieval for clinical cases: a survey of the TREC 2014 CDS Track, Information Retrieval Journal, 2015, Epub ahead of print. 143. Hersh WR, Totten AM, Eden KB, Devine B, Gorman P, Kassakian SZ, Woods SS, Daeges M, Pappas M, McDonagh MS, Outcomes from health information exchange: systematic review and future research needs, JMIR Medical Informatics, 2015, 3(4): e39. 144. Eden KB, Totten AM, Kassakian SZ, Gormana PN, McDonagh MS, Devine B, Pappas M, Daeges M, Woods S, Hersh WR, Barriers and facilitators to exchanging health information: a systematic review, International Journal of Medical Informatics, 88: 44-51. 145. Longhurst CA, Pageler NM, Palma, JP, Finnell JT, Levy BP, Yackel TR, Mohan V, Hersh WR, Early experiences of accredited clinical informatics fellowships, Journal of the American Medical Informatics Association, 2016, 23: 829-834. 146. Wu S, Timmons T, Yates A, Wang M, Bedrick S, Hersh W, Liu H, On developing resources for patient-level information retrieval, Proceedings of the Tenth International Conference on Language Resources and Evaluation (LREC 2016), 2016, Portoro�, Slovenia. 147. Wu ST, Liu S, Wang Y, Timmons T, Uppili H, Bedrick S, Hersh W, Liu H, Intra-institutional EHR collections for patient-level information retrieval. Journal of the American Society for Information Science & Technology, 2017, 68: 2636-2648. 148. Roberts K, Gururaj AE, Chen X, Pournejati S, Hersh WR, Demner-Fushman D, Ohno-Machado L, Cohen T, Xu H, Information retrieval for biomedical datasets: the 2016 bioCADDIE dataset retrieval challenge, Database, 2017, 2017: bax068. 149. Cohen T, Roberts K, Gururaj AE, ChenX, Pournejati S, Alter G, Hersh WR, Demner-Fushman D, Ohno-Machado L, Xu H, A publicly available benchmark for biomedical dataset retrieval: the reference standard for the 2016 bioCADDIE dataset retrieval challenge, Database, 2017, 2017: bax061. 150. Wright T, Ball D, Hersh WR, Query expansion using MeSH terms for dataset retrieval: OHSU at the bioCADDIE 2016 dataset retrieval challenge, Database, 2017, 207:bax065. 151. Liu S, Wang Y, Hong N, Shen F, Wu S, Hersh W, Liu H, On mapping textual queries to a common data model, IEEE International Conference on Healthcare Informatics (ICHI), 2017, 21-25. 152. Devine EB, Totten AM, Gorman P, Eden KB, Kassakian S, Woods S, Daeges M, Pappas M, McDonagh M, Hersh WR, Health information exchange use (1990-2015): a systematic review, eGEMs (Generating Evidence & Methods to improve patient outcomes), 2017;5(1):27. 153. Welcher CM, Hersh W, Takesue B, Elliott VS, MA, Hawkins RE, Barriers to medical students� electronic health record access can impede their preparedness for practice, Academic Medicine, 2018, 98: 48-53. 154. Hersh W, Boone KW, Totten AM, Characteristics of the healthcare information technology workforce in the HITECH era: underestimated in size, still growing, and adapting to advanced uses, JAMIA Open, 2018, 1: 188-194. 155. Holroyd B, Beeson M, Hughes T, Kurland L, Sherbino J, Truesdale M, Hersh W. Clinical informatics competencies in the emergency medicine specialist training standards of five international jurisdictions. Canadian Journal of Emergency Medicine, 2018, 2(4):293-300. 1. Hersh WR, Informatics: design and evaluation of information technology in medicine, Journal of the American Medical Association, 1992, 267: 167, 170. 2. Evans DA, Lefferts RG, Grefenstette G, Handerson SK, Hersh WR, Archbold AA, CLARIT TREC Design, Experiments, and Results, Proceedings of the First Text Retrieval Conference (TREC-1), 1993, 251-286. 3. Hersh WR, Lunin LA, Perspectives on medical informatics: information technology in health care, Journal of the American Society for Information Science, 1995, 46: 726-728. 4. Hersh WR, Day B, A comparison of Boolean and natural language searching for the TREC-6 interactive task, Proceedings of the Sixth Text Retrieval Conference (TREC-6), Gaithersburg, MD, 1998, 585-595. 5. Hersh W, Price S, Kraemer D, Chan B, Sacherek L, Olson D, A large-scale comparison of Boolean and natural language searching for the TREC-7 interactive track, Proceedings of the Seventh Text Retrieval Conference (TREC-7), Gaithersburg, MD, 1999, 491-500. 6. 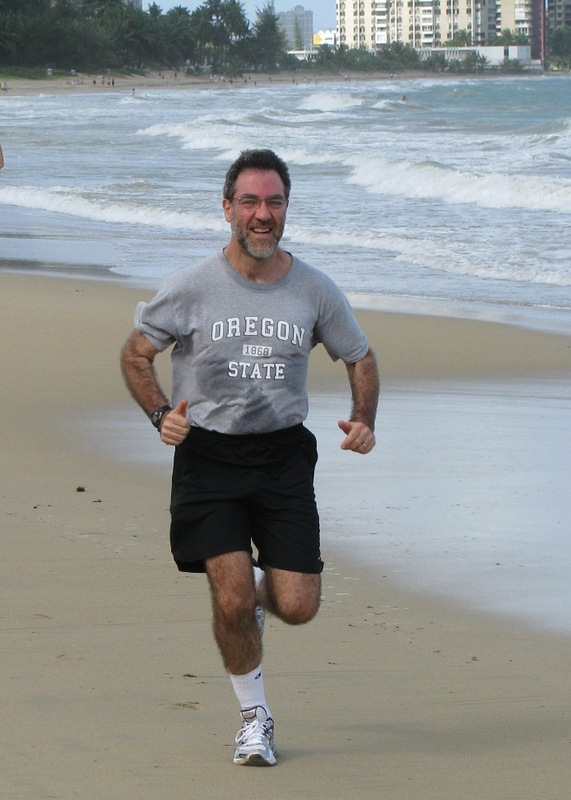 Hersh WR, OHSU�s 2-for-1 proposition: the fusion of medical informatics and outcomes research, M.D. Computing, 1999, 16(5): 35-37. 7. Hersh W, Over P, TREC-8 interactive track overview, Proceedings of the Eighth Text Retrieval Conference (TREC-8), Gaithersburg, MD, 2000, 57-64. 8. Hersh WR, The quality of information on the World Wide Web, Journal of the American College of Dentists, 1999, 66: 43-45. 9. Hersh W, Turpin A, Sacherek L, Olson D, Price S, Further analysis of whether batch and user evaluations give the same results with a question-answering task, Proceedings of the Ninth Text Retrieval Conference (TREC-9), Gaithersburg, MD, 2001, 407-416. 10. Hersh W, Over P, SIGIR workshop on interactive retrieval at TREC and beyond, SIGIR Forum, Spring 2000. 11. Hersh W, Over P, TREC 2001 interactive track structure, Proceedings of the Text Retrieval Conference (TREC) 2001, Gaithersburg, MD, 38-41. 12. Hersh W, Sacherek L, Olson D, Observations of searchers: OHSU TREC 2001 interactive track, Proceedings of the Text Retrieval Conference (TREC) 2001, Gaithersburg, MD, 434-441. 13. Hersh W, Medical Informatics: a career for librarians, Info Career Trends, 2002. 14. Hersh W, Over P, TREC 2002 interactive track report, Proceedings of the Text Retrieval Conference (TREC) 2002, Gaithersburg, MD, 40-45. 15. Hersh W, Sacherek L, Olson D, More statistical power needed: The OHSU TREC 2002 interactive track experiments, Proceedings of the Text Retrieval Conference (TREC) 2002, Gaithersburg, MD, 505-511. 16. Hersh WR, Bhupatiraju RT, TREC genomics track overview, The Twelfth Text Retrieval Conference - TREC 2003, 14-23. 17. Hersh WR, Bhupatiraju RT, Price SL, Phrases, boosting, and external knowledge resources for genomic information retrieval, The Twelfth Text Retrieval Conference - TREC 2003, 503-509. 18. Hersh W, Anytime, anywhere medical records: the National Health Information Infrastructure (NHII), Oregon�s Future, 2004, 5(1): 36-38. 19. Hersh W, It takes a village to achieve the benefits of electronic health records, Oregon�s Future, 2004, 5(2): 40-41. 20. Hersh W, Bhupatiraju RT, Ross L, Johnson P, Cohen AM, Kraemer DF, TREC 2004 genomics track overview, The Thirteenth Text Retrieval Conference - TREC 2004, 13-24. 21. Cohen AM, Bhupatiraju RT, Hersh W, Feature generation, feature selection, classifiers, and conceptual drift for biomedical document triage, The Thirteenth Text Retrieval Conference - TREC 2004. 22. Hersh W, Distance learning in biomedical informatics. ACM eLearn Magazine, 2004. 23. Hersh W, The full spectrum of biomedical informatics education at OHSU, Proceedings of the European Federation of Medical Informatics Special Topic Conference 2005, 49-51. 24. Hersh WR, Jensen J, M�ller H, Ruch P, Gorman P, A qualitative task analysis of biomedical image use and retrieval, Proceedings of the Workshop on Image and Video Retrieval Evaluation, 2005, 11-16. 25. Jensen JR, Hersh WR, Manual query modification and data fusion for medical image retrieval, in Peters C, Gey FC, Gonzalo J, M�ller H, Jones GJF, Kluck M, Magnini B, de Rijke M, Accessing Multilingual Information Repositories: 6th Workshop of the Cross-Language Evaluation Forum, CLEF 2005, Springer Lecture Notes in Computer Science, Vol. 4022, 673-679. 26. Clough P, M�ller H, Deselaers T, Grubinger M, Lehmann, Jensen J, Hersh W, The CLEF 2005 Cross-Language Image Retrieval Track, in Peters C, Gey FC, Gonzalo J, M�ller H, Jones GJF, Kluck M, Magnini B, de Rijke M, Accessing Multilingual Information Repositories: 6th Workshop of the Cross-Language Evaluation Forum, CLEF 2005, Springer Lecture Notes in Computer Science, Vol. 4022, 535-557. 27. Hersh W, Cohen AM, Yang J, Bhupatiraju RT, Roberts P, M. Hearst M, TREC 2005 genomics track overview, The Fourteenth Text Retrieval Conference - TREC 2005. 28. Cohen AM, Yang J, Hersh WR, A comparison of techniques for classification and ad hoc retrieval of biomedical documents, The Fourteenth Text Retrieval Conference - TREC 2005. 29. Hersh W, What is the right medical informatics training for me? - a case study from Oregon Health & Science University, in e-Health & Medical IT Solutions, 2006. 30. Hersh W, Kim E, The impact of relevance judgments and data fusion on results of image retrieval test collections, Proceedings of the Second MUSCLE/ImageCLEF Workshop on Image and Video Retrieval Evaluation, 2006, 29-38. 31. Hersh W, Kalpathy-Cramer J, Jensen J, Medical image retrieval and automated annotation: OHSU at ImageCLEF 2006, in Peters C, Clough P, Gey F, Karlgren J, Magnini B, Oard DW, de Rijke M, Stempfhuber M, Evaluation of Multilingual and Multi-modal Information Retrieval - 7th Workshop of the Cross-Language Evaluation Forum, CLEF 2006, Springer Lecture Notes in Computer Science, Vol. 4730, 660-669. 32. M�ller H, Deselaers T, Lehmann, Clough P, Kim E, Hersh W, Overview of the ImageCLEFmed 2006 medical retrieval and annotation tasks, in Peters C, Clough P, Gey F, Karlgren J, Magnini B, Oard DW, de Rijke M, Stempfhuber M, Evaluation of Multilingual and Multi-modal Information Retrieval - 7th Workshop of the Cross-Language Evaluation Forum, CLEF 2006, Springer Lecture Notes in Computer Science, Vol. 4730, 595-608. 33. Hersh W, Cohen AM, Roberts P, Rekapalli HP, TREC 2006 Genomics Track overview, The Fifteenth Text Retrieval Conference - TREC 2006. 34. Cohen AM, Yang J, Fisher S, Roark B, Hersh WR, Combining lexicon expansion, information retrieval, and cluster-based ranking for biomedical question answering, The Fifteenth Text Retrieval Conference - TREC 2006, 52-78. 35. Hersh W, M�ller H, Image retrieval in medicine: the ImageCLEF medical image retrieval evaluation, ASIST Bulletin, February/March 2007. 36. Hersh W. Copy and paste. AHRQ WebM&M, July/August 2007. 37. Hersh WR, M�ller H, Kalpathy-Cramer J, Kim E, Consolidating the ImageCLEF medical task test collection: 2005-2007, Proceedings of the Third MUSCLE/ImageCLEF Workshop on Image and Video Retrieval Evaluation, 2006, 31-39. 38. M�ller H, Deselaers T, Kim E, Kalpathy-Cramer J, Deserno TM, Hersh W, Overview of the ImageCLEF 2007 medical retrieval and annotation tasks, in Peters C, Jijkoun V. Mandl T, M�ller H, Oard DW, Peňas A, Petras V, Santos D, Advances in Multilingual and Multimodal Information Retrieval, 8th Workshop of the Cross-Language Evaluation Forum, CLEF 2007, Budapest, Hungary, Springer Lecture Notes for Computer Science, Vol. 5152, 2008, 472-491. 39. Kalpathy-Cramer J, Hersh W, Medical image retrieval and automatic annotation: OHSU at ImageCLEF 2007, in Peters C, Jijkoun V. Mandl T, M�ller H, Oard DW, Peňas A, Petras V, Santos D, Advances in Multilingual and Multimodal Information Retrieval, 8th Workshop of the Cross-Language Evaluation Forum, CLEF 2007, Budapest, Hungary, Springer Lecture Notes for Computer Science, Vol. 5152, 2008, 623-630. 40. Hersh W, Cohen AM, Ruslen L, Roberts P, TREC 2007 Genomics Track overview, The Sixteenth Text Retrieval Conference - TREC 2007, 37-50. 41. Cohen AM, Yang J, Fisher S, Roark B, Hersh WR, The OHSU biomedical question answering system framework, The Sixteenth Text Retrieval Conference - TREC 2007. 42. Hersh W, A View from the States: Biomedical Informatics Education at Oregon Health & Science University, UK Health Informatics Today, No. 56, Spring, 2008, 3-5, http://www.bmis.org/ebmit/2008_56_spring.pdf. 43. Hersh WR, Wright A, Characterizing the Health Information Technology Workforce: Analysis from the HIMSS Analytics� Database, 2008, http://www.billhersh.info/hit-workforce-hersh.pdf. 44. Hersh WR, Margolis A, Quir�s F, Otero P, Determining Health Informatics Workforce Needs in Developing Economies, Making the eHealth Connection: Global Partnerships, Local Solutions, 2008, Bellagio, Italy. 45. M�ller H, Kalpathy-Cramer J, Kahn C, Hatt W, Bedrick S, and Hersh W, Overview of the ImageCLEFmed 2008 medical image retrieval task, in Peters C, Giampiccol D, Ferro N, Petras V, Gonzalo J, Penas A, Deselaers T, Mandl T, Jones G, Kurimo, M, Evaluating Systems for Multilingual and Multimodal Information Access, 9th Workshop of the Cross-Language Evaluation Forum, CLEF 2008, Lecture Notes in Computer Science, Vol. 5706, 512-522. 46. Kalpathy-Cramer J, Bedrick S, Hatt W, and Hersh W, Multimodal medical image retrieval OHSU at ImageCLEF 2008, in Peters C, Giampiccol D, Ferro N, Petras V, Gonzalo J, Penas A, Deselaers T, Mandl T, Jones G, Kurimo, M, Evaluating Systems for Multilingual and Multimodal Information Access, 9th Workshop of the Cross-Language Evaluation Forum, CLEF 2008, Lecture Notes in Computer Science, Vol. 5706, 744-751. 47. M�ller H, Kalpathy-Cramer J, Eggel I, Bedrick S, Radhouani S, Bakke B, Kahn CE, Hersh W, Overview of the CLEF 2009 Medical Image Retrieval Track, Working Notes for the CLEF 2009 Workshop. 48. Radhouani S, Kalpathy-Cramer J, Bedrick S, Bakke B, Hersh W, Multimodal medical image retrieval: improving precision at ImageCLEF 2009, Working Notes for the CLEF 2009 Workshop. 49. M�ller H, Kalpathy-Cramer J, Eggel I, Bedrick S, Reisetter J, Kahn CE, Overview of the CLEF 2010 Medical Image Retrieval Track, Notebook Papers for the CLEF 2010 Labs and Workshops, Padua, Italy. 50. Bedrick S, Ambert K, Cohen A, Hersh W, Identifying patients for clinical studies from electronic health records: TREC Medical Records Track at OHSU, The Twentieth Text Retrieval Conference - TREC 2011. 51. Voorhees E, Hersh W, Overview of the TREC 2012 Medical Records Track, The 21st Text Retrieval Conference - TREC 2012. 52. Bedrick S, Edinger T, Cohen A, Hersh W, Identifying patients for clinical studies from electronic health records: TREC 2012 Medical Records Track at OHSU, The 21st Text Retrieval Conference - TREC 2012. 53. Kodish-Wachs J, Hersh W, Clinical informatics in rehabilitation practice, PM&R Knowledge Now, 2013. 54. Hersh WR, Valerius JD, A tale of two professions: health information management and biomedical/health informatics converge at OHSU, Journal of AHIMA, 2013, 84(10): 38-41. 55. Simpson MS, Voorhees E, Hersh W, Overview of the TREC 2014 Clinical Decision Support Track, The 23rd Text Retrieval Conference - TREC 2014. 56. Roberts K, Simpson MS, Voorhees E, Hersh WR, Overview of the TREC 2015 Clinical Decision Support Track, The 24th Text Retrieval Conference - TREC 2015. 57. Roberts K, Demner-Fushman D, Voorhees E, Hersh WR, Overview of the TREC 2016 Clinical Decision Support Track, The 25th Text Retrieval Conference - TREC 2016. 58. Pederson B, Vasilevsky N, Hersh W, McWeeney S, Haendel M, Wirz J. Big Data to Knowledge open educational resources: development and dissemination considerations, Proceedings of EdMedia: World Conference on Educational Media and Technology 2016, 1729-1733. 59. Roberts K, Demner-Fushman D, Voorhees EM, Hersh WR, Bedrick S, Lazar AJ, Pant S, Overview of the TREC 2017 Precision Medicine Track, The 26th Text Retrieval Conference - TREC 2017. 60. Roberts K, Demner-Fushman D, Voorhees EM, Hersh WR, Bedrick S, Lazar AJ, Overview of the TREC 2018 Precision Medicine Track, The 27th Text Retrieval Conference - TREC 2018. 1. Hersh WR, Information Retrieval: A Health and Biomedical Perspective, New York: Springer-Verlag. 3. Chen H, Fuller S, Friedman C, Hersh W (eds. ), Medical Informatics: Knowledge Management and Data Mining in Biomedicine, New York: Springer-Verlag, 2005. 4. Hoyt, RE and Hersh, WR, Eds. (2018). Health Informatics: Practical Guide, Seventh Edition. Pensacola, FL, Lulu.com. 1. Hersh WR, Detmer WM, Frisse ME, Information-Retrieval Systems , in Shortliffe EH, Perreault LE, Wiederhold G, Fagan LM (eds. ), Medical Informatics: Computer Applications in Health Care and Biomedicine (2nd Edition) , New York: Springer-Verlag, 2000, 539-572. 2. Hersh WR, Stavri PS, Detmer WM, Information Retrieval & Digital Libraries, in Shortliffe EH, Cimino JJ (eds. ), Biomedical Informatics: Computer Applications in Health Care and Biomedicine (3rd Edition), New York: Springer-Verlag, 2006, 660-697. 3. Hersh WR, Ontologies for Information Retrieval, in Jorde LB, Little P, Dunn M, Subramaniam S (eds. ), Genetics, Genomics, Proteomics, and Bioinformatics, London: John Wiley & Sons, 2004. 4. Chen H, Fuller S, Friedman C, Hersh W, Knowledge Management, Data Mining, and Text Mining in Medical Informatics, in Chen H, Fuller S, Friedman C, Hersh W (eds. ), Medical Informatics: Knowledge Management and Data Mining in Biomedicine, New York: Springer-Verlag, 2005, 3-33. 5. Hersh WR, Information Retrieval & Digital Libraries, in Chen H, Fuller S, Friedman C, Hersh W (eds. ), Medical Informatics: Knowledge Management and Data Mining in Biomedicine, New York: Springer-Verlag, 2005, 237-275. 6. Hersh WR, The Full Spectrum of Biomedical Informatics Research and Education at OHSU, in Haux R, Kulikowski C (eds. ), Yearbook of Medical Informatics 2005, Schattauer, 2005, 167-172. 7. Hersh W, Evaluating Interactive Question Answering, in Strzalkowski, T, Harabagiu, S (eds. ), Advances in Open Domain Question Answering, New York: Springer-Verlag, 2006, 431-456. 8. Bernstam EV, Herskovic JR, Hersh WR, Query Log Analysis in Biomedicine, in Jansen BJ, Spink A, Taksa I (eds. ), Handbook of Web Log Analysis. Hershey, PA: IGI Global, 359-377. 9. Hersh WR, Health and biomedical informatics: opportunities and challenges for a twenty-first century profession and its education, Yearbook of Medical Informatics 2008, 157-164. 10. Hersh W, Keeping Up Your Fund of Knowledge: How Teaching Physicians Can Access Clinical Knowledge, Answer Questions, and Develop Skills for Life-Long Learning, in Theory and Practice of Teaching Medicine, American College of Physicians, 2010, 95-114. 11. Hersh WR, The Health Informatics Workforce: Unanswered Questions, Needed Answers, in Health Informatics: An Overview, Studies in Health Technology and Informatics 151, IOS Press, 2010, 492-503. 13. Hersh WR, Carey TS, Ricketts T, Helfand M, Floyd N, Shiffman N, Hickam DH, Comparative Effectiveness Workforce - Framework and Assessment, in Olsen L, Grossmann C, McGinnis JM, Learning What Works - Infrastructure Required for Comparative Effectiveness Research - Institute of Medicine Workshop Summary, Washington, DC: National Academies Press, 2011, 191-220. 14. Ash JS, Kilo CM, Shapiro M, Wasserman J, Hersh W, Roadmap for Provision of Safer Healthcare Information Systems: Preventing e-Iatrogenesis, Commissioned Paper for Health IT and Patient Safety: Building Safer Systems for Better Care, National Academies Press, 2012, Abstract: C1-C3. 15. Hersh W, Informatics for the Health IT Workforce, in Berner ES (ed. ), Informatics Education in Healthcare: Lessons Learned, New York: Springer, 2014, 93-107. 16. Hersh W, Continuing Education - the AMIA 10x10 Experience, in Berner ES (ed. ), Informatics Education in Healthcare: Lessons Learned, New York: Springer, 2014, 109-120. 17. Hersh W, Context and Value of Biomedical and Health Informatics, in Fu P, Magnuson JA (eds.) Public Health Informatics and Information Systems, New York: Springer, 2014, 37-46. 18. Hersh WR, Information Retrieval and Digital Libraries, in Shortliffe EH, Cimino JJ (eds. ), Biomedical Informatics: Computer Applications in Health Care and Biomedicine (4th Edition), New York: Springer, 2014, 613-641. 19. Hersh,WR, Healthcare Data Analytics, in Hoyt RE, Yoshihashi A (eds. ), Health Informatics: Practical Guide for Healthcare and Information Technology Professionals, Sixth Edition, Pensacola, FL: Lulu.com, 2014, 62-75. 20. Hoyt RE, Hersh WR, Evidence-Based Medicine & Clinical Practice Guidelines, in R. Hoyt and A. Yoshihashi (eds. ), Health Informatics: Practical Guide for Healthcare and Information Technology Professionals, Sixth Edition, in Hoyt RE, Yoshihashi A (eds. ), Pensacola, FL: Lulu.com, 2014, 323-350. 21. Hersh W, Estrategias para recuperar informaci�n, in Mendiola MS, Martino Franco AI (eds. ), Inform�tica Biom�dica, Mexico City, MX: Elsevier Mexico, 2014, 75-85. 22. Hersh W, Biomedical and Health Informatics, in Thompson TL (ed. ), Encyclopedia of Health Communication, Thousand Oaks, CA, SAGE Publications, 2014, 106-100. 23. Otero P, Hersh W, Jai Ganesh AU, Big Data: Are Biomedical and Health Informatics Training Programs Ready? Contribution of the IMIA Working Group for Health and Medical Informatics Education, in Jaulent MC, Lehmann CU, S�roussi B (eds. 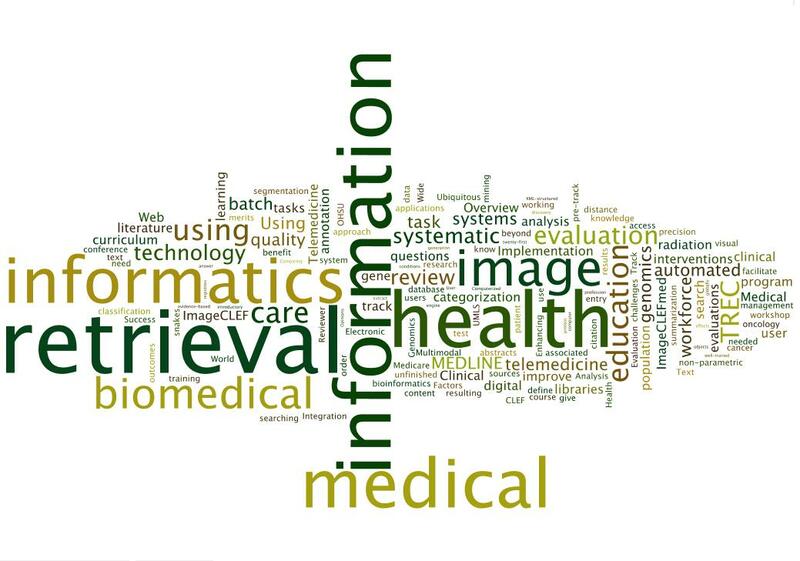 ), Yearbook of Medical Informatics, 2014, 177-181. 24. Hasman A, Hersh W, Lorenzi NM, Shortliffe EH, van Bemmel JH, Commentaries on the IMIA Award of Excellence Lecture by Reinhold Haux, in Jaulent MC, Lehmann CU, S�roussi B (eds. ), Yearbook of Medical Informatics, 2014, 265-272. 25. Hersh W, Information Retrieval for Healthcare, in Reddy CK, Aggarwal CC (eds. ), Healthcare Data Analytics, Boca Raton, FL: CRC Press, 2015, 467-505. 26. Hersh WR, Totten A, Eden K, Devine B, Gorman P, Kassakian SZ, Woods SS, Daeges M, Pappas M, McDonagh MS, The Evidence Base for Health Information Exchange, in Dixon E (ed. ), Health Information Exchange: Navigating and Managing a Network of Health Information Systems, Philadelphia, PA, Elsevier, 2016, 213-229. 27. Hersh W, Ehrenfeld J, Clinical Informatics, in Skochelak SE, Hawkins RE (eds. ), Health Systems Science, 2017, 105-116. 28. Hersh W, Biagioli F, Scholl G, Gold J, Mohan V, Kassakian S, Kerns S, Gorman P, From Competencies to Competence: Model, Approach, and Lessons Learned from Implementing a Clinical Informatics Curriculum for Medical Students, in Shachak A, Borycki EM, Reis SP (eds. ), Health Professionals' Education in the Age of Clinical Information Systems, Mobile Computing and Social Networks, Elsevier, 2017, 269-287. 29. Hersh WR, Education and Professional Development for the CMIO, in Rydell RL, Landa HM, The CMIO Survival Guide - A Handbook for Chief Medical Information Officers and Those Who Hire Them, Second Edition, 2018, 111-122. 30. Lehmann CU, Gundlapalli AV, Williamson JJ, Fridsma DB, Hersh WR, Krousel-Wood M, Ondrula CJ, Munger B, Five Years of Clinical Informatics Board Certification for Physicians in the United States of America, in Lehmann CU, Jaulent MC, S�roussi B (eds. ), Yearbook of Medical Informatics, 2018. 31. Hersh W, Estrategias para la recuperation de la informaci�n, in Mendiola MS, Martino Franco AI (eds. ), Inform�tica Biom�dica, 3a edici�n, Barcelona, Spain: Elsevier, 2018, 41-49. 1. Hersh WR, Helfand M, Wallace JA, Kraemer DF, Patterson PK, Shapiro SE, Greenlick MR, Chan BKS, Eilers GM, Telemedicine for the Medicare Population. Evidence Report/Technology Assessment: No. 24. AHRQ Publication 01-E011, February 2001. Agency for Healthcare Research and Quality, Rockville, MD. 2. Hersh WR, Wallace JA, Patterson PK, Kraemer DF, Nichols WP, Greenlick MR, Krages KP, Helfand M, Telemedicine for the Medicare Population: Pediatric, Obstetric, and Clinician-Indirect Home Interventions. Evidence Report/Technology Assessment: No. 24, Supplement. AHRQ Publication 01-E059, August 2001. Agency for Healthcare Research and Quality, Rockville, MD. 3. Hickam DH, Severance S, Feldstein A, Ray L, Gorman P, Schuldheis S, Hersh WR, Krages KP, Helfand M, The Effect of Health Care Working Conditions on Patient Safety. Evidence Report/Technology Assessment: No. 74. AHRQ Publication 03-E031, March 2003. Agency for Healthcare Research and Quality, Rockville, MD. 4. Hersh WR, Hickam DH, Severance S, Dana T, Krages S, Helfand M, Telemedicine for the Medicare Population (Update). Evidence Report/Technology Assessment: No. 131. AHRQ Publication No. 03-E031, January, 2006. Agency for Healthcare Research and Quality, Rockville, MD. 5. Jimison H, Gorman P, Woods S, Nygren P, Walker M, Norris S, Hersh W, Barriers and Drivers of Health Information Technology Use for the Elderly, Chronically Ill, and Underserved, Evidence Report/Technology Assessment No. 175. AHRQ Publication No. 09-E004. November, 2008. Agency for Healthcare Research and Quality, Rockville, MD. 6. Keen M, Hersh W, A Proposal for Competencies in Evidence-Based Medicine, Society of Teachers of Family Medicine Digital Resource Library, 2011. 7. Hersh W, Totten A, Eden K, Devine B, Gorman P, Kassakian S, Woods SS, Daeges M, Pappas M, McDonagh MS. Health Information Exchange. Evidence Report/Technology Assessment No. 220. AHRQ Publication No. 15(16)-E002-EF. Rockville, MD: Agency for Healthcare Research and Quality; 2015. 8. Totten A, Womack D, Eden KB, McDonagh MS, Griffin JC, Grusing S, Hersh WR. Telehealth: Mapping the Evidence for Patient Outcomes from Systematic Reviews, Technical Brief No. 26, AHRQ Publication No. 16-EHC034-EF. Rockville, MD: Agency for Healthcare Research and Quality; 2016. 1. Hersh WR, Evidence-based medicine and the Internet, ACP Journal Club, 1996, 5(4): A14-A16. 2. Hersh W, Rindfleisch T, Electronic publishing of scholarly communication in the biomedical sciences, Journal of the American Medical Informatics Association, 2000, 7: 324-325. 3. Hersh W, Over P, Interactivity at the Text Retrieval Conference (TREC), Information Processing and Management, 2001, 37: 365-367. 4. Hersh WR, Patterson PK, Kraemer DF, Telehealth: the need for evaluation redux, Journal of the American Medical Informatics Association , 2001, 9: 89-90. 5. Hersh WR, Gorman PN, Teach globally, learn locally: the 2003 IMIA Working Group on Education Meeting, International Journal of Medical Informatics, 2004, 73: 95-96. 6. Cohen AM, Hersh WR, Criticisms of evidence-based medicine, Evidence-Based Cardiovascular Medicine, 2004, 8: 197-198. 7. Hersh W, Health care information technology: progress and barriers, Journal of the American Medical Association, 2004, 292: 2273-2274. 8. Hersh W, Ubiquitous but unfinished: on-line information retrieval systems, Medical Decision Making, 2005, 25: 147-148. 9. Hersh WR, Hickam DH, Erlichman M, Advancing the evidence base of telemedicine: overview of supplement, Journal of Telemedicine and Telecare, 2006, 12(Supp 2): 1-2. 10. Hersh WR, Adding value to the electronic health record through secondary use of data for quality assurance, research, and surveillance, American Journal of Managed Care, 2007, 13: 41-42. 11. Hersh W, Voorhees E, TREC Genomics special issue overview, Information Retrieval, 2009, 12: 1-15. 12. Otero P, Quir�s F, Hersh W, Competencies for a well-trained biomedical and health informatics workforce, Methods of Information in Medicine, 2010, 49: 297-298. 13. Hersh W, Electronic health records facilitate development of disease registries and more, Clinical Journal of the American Society of Nephrology, 2011, 6: 5-6. 14. Hersh W, Time to catch up with the pack, Nature, 2011, 470: 327-328. 1. Rose B, Hersh WR, Greenes RA, Rush J, Consultant: A question-driven, computer-based medical and nephrological information system, Kidney International, 1989, 37: 283. 2. Hersh, WR, Hickam DH, Impact of a computerized information system in a university general medicine clinic, Clinical Research, 1992, 40: 567A. 3. Zacks M, Hersh W, Indexing the Cochrane systematic reviews, Colloquium Handbook, Fourth International Cochrane Colloquium, Adelaide, Australia, 1996, A-19. 4. Brodner R, Hersh W, Helfand M, Brown B, ORCAS: network-based management of cancer clinical trials, Proceedings of the 1997 AMIA Annual Symposium, 1997, 915. 5. Lowe HJ, Hersh W, Smith CA, The multimedia medical record as a virtual library: a multidimensional model for indexing the content of medical images using the Unified Medical Language System, Final Program and Abstract Book, 1998 AMIA Annual Spring Congress, 1998, 83. 6. Hersh WR, Price S, Identifying randomized controlled trials in conference proceedings abstracts. Abstract Book, Sixth International Cochrane Colloquium, 1998, 52. 7. Hersh WR, Malveau SE, DynamiQuest: a system for asking clinical examination questions based on content viewed, Proceedings of the 1998 AMIA Annual Symposium, 1998, 1013. 8. Huey CG, Hersh WR, A needs assessment of a web-based smoking cessation program, Proceedings of the 1998 AMIA Annual Symposium, 1998, 1020. 9. Rose LL, Crabtree K, Hersh WR, Factors influencing successful use of information retrieval systems by nurse practitioner students, Proceedings of the 1998 AMIA Annual Symposium, 1998, 1067. 10. Hersh W, Zhang L, Teaching English medical terminology using the UMLS Metathesaurus and World Wide Web, Proceedings of the 1999 AMIA Annual Symposium, 1999, 1078. 11. Patterson PK, Salveson C, Hersh W, Duell PB, Carlson J, Videophones for wellness coaching in an overweight population, Proceedings of the 1999 AMIA Annual Symposium, 1999, 1136. 12. Hersh WR, Web-based distance learning in medical informatics, Conference Notebook: Blending People & Technology to Improve Practice - Conference on Public Health Informatics & Distance Learning, New Orleans, LA, 2000. 13. Lyman JA, Hersh W, Spackman K, Representing clinical information in an internal medicine teaching image database, Proceedings of the 2000 Annual AMIA Symposium, 2000, 1074. 14. Hersh W, Distance learning techniques for medical informatics, Proceedings of the 2000 Annual AMIA Symposium, 2000, 1170. PMC2243969. 15. Hersh WR, Helfand M, Shapiro SE, Wallace JA, Eilers GM, Coverage and quality of diagnostic and outcomes studies of telemedicine services, Abstract Book, Eighth International Cochrane Colloquium, 2000, 49. 16. Gong Y, Hersh W, A preliminary trial of tagging on-line documents using �Medical Core Metadata�, Proceedings of the 2001 AMIA Annual Symposium, 914. 17. Cummings J, Tidmarsh P, Hersh W, Friedman C, Distributed medical informatics education using Internet2, Proceedings of the 2001 AMIA Annual Symposium, 887. 18. Price S, Logan J, Hersh W, The role of computer science and computing skills in a medical informatics curriculum, Proceedings of the 2001 AMIA Annual Symposium, 1003. 19. Hiruki T, Olson D, Onogi Y, Hersh W, An automated MeSH mapping tool to facilitate searching of the English-language Web by Japanese users, Technology and Health Care, 2001, 9: 495-496. 20. Turpin A, Hersh W, User interface effects in past batch versus user experiments, Proceedings of the 25th Annual ACM SIGIR Conference on Research and Development in Information Retrieval, 2002, 431-432. 21. Hersh WR, Text Retrieval Conference (TREC) Genomics Pre-Track, Pacific Symposium on Biocomputing, 2003, 83. 22. Hersh W, Tidmarsh P, Ilg A, Distance learning in medical informatics: who, what, and why?, Proceedings of the 2003 International Medical Informatics Association Working Group on Education Conference, 2003, CD-ROM. 23. Yackel TR, Gorman P, Ilg A, Ash J, Audiss D, Hersh W, Teaching applied informatics: the benefits of an internship model, Proceedings of the 2003 International Medical Informatics Association Working Group on Education Conference, 2003, CD-ROM. 24. Rose E, Zeiger R, Corley S, Gorman P, Yackel T, Hersh W, Development methodology for a �next generation� medical informatics curriculum for clinicians, Proceedings of the 2003 AMIA Annual Symposium, 986. 25. Hersh WR, Bhupatiraju RT, Greene PS, Smothers V, Cohen C, A standards-based approach for facilitating discovery of learning objects at the point of care, Proceedings of the AMIA 2005 Annual Symposium, CD-ROM. 26. Yang J, Cohen AM, Hersh WR, Functional gene group summarization by clustering MEDLINE abstract sentences, Proceedings of the AMIA 2006 Annual Symposium, CD-ROM. 27. Hersh WR, Bhupatiraju RT, Greene PS, Smothers V, Cohen C, Frodis M, Mapping and accessing competencies and learning objects, Slice of Life 2007, http://slice.utah.edu/2007/schedule/documents/53WilliamHersh1.pdf. 28. Feldman S, Hersh W, Evaluating the AMIA-OHSU 10x10 program to train health care professionals, Proceedings of the AMIA 2007 Annual Symposium, 2007, CD-ROM. 29. Hersh W, Kalpathy-Cramer J, M�ller H, The ImageCLEFmed medical image retrieval task test collection, Society for Imaging Informatics in Medicine (SIIM) 2008 Scientific Abstract Book, 2008, 13-15. 30. Kalpathy-Cramer J, Hersh W, Bedrick S, M�ller H, Query analysis to improve medical image retrieval, Society for Imaging Informatics in Medicine (SIIM) 2008 Scientific Abstract Book, 2008, 127-128. 31. Hersh WR, Wright A, Characterizing the health information technology workforce: Analysis from the HIMSS Analytics� Database, AMIA Spring Congress 2008, CD-ROM. 32. Valerius J, Hersh W, How well does a biomedical informatics curriculum map to health information management knowledge clusters? Analysis of a program, Proceedings of the AMIA 2008 Annual Symposium, 2008, 967. 33. Kahn CE, Kalpathy-Cramer J, Hersh WR, Image retrieval in medicine: the ImageCLEF challenge, RSNA 94th Scientific Assembly and Annual Meeting, 2008. 34. McClay J, Nielson J, Wadman M, Hersh W, The Emergency Informatics Transition Course: a flexible, on-line course in health informatics for emergency medicine clinicians and trainees, Innovations in Emergency Medicine Education 2009 Annual Meeting, 2009. 35. Kalpathy-Cramer J, Bedrick S, Radhouani S, Hersh W, Eggel I, M�ller H, Web-based medical image retrieval systems: a demonstration of the utility of text, images, and user input in retrieving relevant images, MEDINFO 2010. 36. Mohan V, Hersh WR, Development and evaluation of an electronic health record configuration and customization laboratory course for clinical informatics students, MEDINFO 2013. 37. Williamson J, Safran C, Shortliffe EH, Starren J, Hersh W, The new clinical informatics medical subspecialty in the United States, Studies in Health Technology and Informatics, 2013, 192: 1232. 38. Hersh W, Williamson J, Otero P, Margolis A, The AMIA 10�10 ("Ten by Ten") program: an international approach to building informatics capacity, Studies in Health Technology and Informatics, 2013, 192: 1233. 39. Margolis A, Joglar F, de Quir�s FG, Baum A, Fern�ndez A, Garc�a S, Arredondo AL, Hersh WR, 10x10 comes full circle: Spanish version back to United States in Puerto Rico, Studies in Health Technology and Informatics, 2013, 192: 1134. 40. Mejicano G, Boudrot T, Brunett P, Bumsted T, Carney P, Deiorio N, Hersh W, Ito T, Kahl L, Preparing future physicians: a bold proposal for Oregon and beyond, Harvard Macy Institute 20th Anniversary Symposium, 2014. 41. Haendel M, Dorr DA, Hersh W, Vasilevsky N, McWeeney S, Improving knowledge discovery through development of a big data to knowledge skills course, OHSU Research Week, Portland, OR, 2015. 42. Hersh W, McWeeney S, Haendel M, Vasilevsky N. Open educational resources for big data science. improving knowledge discovery through development of a big data to knowledge skills course. OHSU Research Week, Portland, OR, 2015. 43. Hersh W, Haendel M, McWeeney S, Vasilevsky N, Pederson B, Wirz J, Open educational resources for big data science: goals and challenges, NIH Big Data to Knowledge (BD2K) All-Hands Meeting, Bethesda, MD, 2015. 44. Dorr D, Haendel M, Vasilevsky N, Pederson B, Wirz J, Hersh W, McWeeny S. Improving knowledge discovery through development of big data to knowledge skills course, NIH Big Data to Knowledge (BD2K) All-Hands Meeting, Bethesda, MD, 2015. 45. Vasilevsky N, Wirz J, Pederson B, Laderas T, McWeeney S, Hersh W, Dorr D, Haendel M. Data science education resources for everyone, Medical Library Association Pacific Northwest Chapter Meeting, Portland, OR, 2016. 46. Timmons T, Hersh W, Wu S, Creating topics for cohort identification in patient-level information retrieval, 4th Pacific Northwest Regional NLP Workshop: NW-NLP 2016, 2016. 47. Vasilevsky N, McWeeney S, Hersh S, Dorr DA, Laderas T, Wirz J, Pederson B, Haendel M. Improving knowledge discovery through development of big data to knowledge skills courses and open educational resources, OHSU BICC 25th Year Anniversary, Portland, OR, 2016. 48. Laderas T, Vasilevsky N, Haendel M, McWeeney S, Dorr D, Get real: a synthetic dataset illustrating clinical and genetic covariates, NIH Big Data to Knowledge (BD2K) All-Hands Meeting, Bethesda, MD, 2016. 49. Vasilevsky N, Pederson B, Wirz J, McWeeney S, Haendel M, Hersh W. Data science educational resources for anyone, anywhere, NIH Big Data to Knowledge (BD2K) All-Hands Meeting, Bethesda, MD, 2016. 50. Laderas T, Haendel M, Vasilevsky N, Pederson B, Wirz J, Hersh W, Dorr DA, McWeeney S. Getting your hands dirty with data, NIH Big Data to Knowledge (BD2K) All-Hands Meeting, Bethesda, MD, 2016. 1. Hersh WR, Re: Changes over time in the knowledge base of practicing internists, Journal of the American Medical Association, 1992, 267: 366. 2. Hersh WR, Another man's poison, M.D. Computing, 1993, 10: 73-74. 3. Hersh WR, Gorman PN, Sacherek LS, The applicability and quality of information for answering clinical questions on the World Wide Web, Journal of the American Medical Association, 1998, 280: 1307-1308. 4. Hersh W, Reply to: Electronic information retrieval by physicians and medical librarians, Journal of the American Medical Association, 1999, 281: 1272-1273. 5. Hersh W, The telemedicine curriculum, Journal of Telemedicine and Telecare, 2003, 9: 353-354. 6. Mohan V, Hersh WR, EHRs and health care quality: correlation with out-of-date, differently purposed data does not equate with causality, Archives of Internal Medicine, 2011, 171: 952-953. 1. Hersh WR, Review of: Collen, MF, A History of Medical Informatics in the United States: 1950 to 1990 , Bethesda, MD: American Medical Informatics Association, 1995, Annals of Internal Medicine, 1996, 124: 937. 2. Hersh WR, Review of: Berg M, Rationalizing Medical Work: Decision-Support Techniques and Medical Practices, Cambridge, MA: MIT Press, 1997, Information Processing and Management, 1998, 34: 133-134. 3. Hersh WR, Review of: Witten IH, Moffat A, Bell TC, Managing Gigabytes - Compressing and Indexing Documents and Images, San Francisco: Morgan Kaufmann, 1999, Information Retrieval, 2001, 4: 79-83. 4. Hersh W, The way of the future?, Review of: Biomed Central, Nature, 2001, 413: 680. 5. Hersh W, Review of: Goodman K, Ethics, Medicine, and Information Technology, Cambridge, England: Cambridge University Press, Journal of Biomedical Informatics, 2017, 66: 159-160. Video and slides from my presentation at the first OHSU Informatics Conference for 2014, OHSU Informatics: State of the Field, State of the Program, January 9, 2014. Starting in 2014, the conference will be streamed live. Six OHSU informatics faculty certified in the new clinical informatics subspecialty! Slides and references from my talk, Health IT Workforce in the Post-HITECH Era: Challenges and Opportunities, School of Biomedical Informatics, University of Texas Health Science Center at Houston, October 18, 2013, Houston, TX. Slides and references from my overview presentation to OHSU medical students in the Year 3 Continuity Curriculum series, September 16, 2013, Portland, OR. Slides and references from my introductory talk to the 2013 OHSU summer college interns program. Slides and references from my talk, Caveats and Recommendations for Use of Operational Electronic Health Record Data for Research and Other Purposes, Informatics Grand Rounds, Dartmouth-Hitchcock Medical Center, May 3, 2013, Lebanon, NH. Slides and references from my talk, The Data-Rich, Information-Driven Future of Healthcare, IEEE Oregon Computer Society, April 23, 2013, Portland, OR. Slides and references from my presentation, Informatics is Not Just for Clinicians: Opportunities for a Future in Informatics, to the OHSU Information Technology Group (ITG), April 19, 2013, Portland, OR. Slides and references from my presentation, Update on Biomedical and Health Informatics from the US Perspective, at the Mahidol University Faculty of Tropical Medicine, March 28, 2013, Bangkok, Thailand. Slides and references from my presentation, Meaningful Use of Health Information Technology Requires a Competent Workforce, University of California Davis Health Informatics Symposium, Sacramento, CA, March 22, 2013. Slides and references from my presentation, What Do 21st Century Medical Students Need to Know about Biomedical and Health Informatics?, March 15, 2013, Universidad Nacional Aut�noma de M�xico, Mexico City, Mexico. Slides and references from my presentation, Practicing Medicine in a Data-�Rich, Information-�Driven Future at the OHSU Annual Primary Care Review, February 13, 2013, Portland, OR. Slides and references from my presentation, Opportunities for Collaboration Between Biomedical Informatics and Basic, Clinical, and Translational Sciences, Knight Cancer Research/Translational Meeting, December 14, 2012, Portland, OR. Slides and references from my presentation, From Implementation to Analytics: The Future Work of Informatics, at the VII Jornadas Universitarias de Sistemas de Informaci�n en Salud at Hospital Italiano Department of Health Informatics, November 28, 2012, Buenos Aires, Argentina. You can also view my slides in Spanish. Slides and references from my lecture on Biomedical Information Retrieval for the course, CSE 506/606 - Topics in Information Retrieval, in the OHSU computer science program, November 13, 2012. Slides and references from my presentation, Secondary Use of Electronic Health Records: The TREC Medical Records Track, University of Missouri Informatics Institute Symposium, Columbia, MO, October 22, 2012, Columbia, MO. We hosted the ACM SIGIR 2012 meeting in Portland! Visit to Peking Union Medical College and Hospital (PUMCH) in Beijing China on September 15, 2011, where I delivered talks on the HITECH program in the US and on clinical and translational research informatics. I also gave the HITECH talk to the National University of Singapore Department of Information Systems on September 12, 2011. Slides of the HITECH talk translated to Chinese! Talk at Hospital Italiano of Buenos Aires about the US HITECH Program on June 16, 2011. Slides with references in English and Spanish. Faculty Commencement Address for Graduate Programs on June 6, 2011. A talk, Informatics Education and Competency: Necessary for Effective Information Technology Use in Health and Biomedicine, at Biomedical Informatics Grand Rounds at Ohio State University in Columbus, OH on April 28, 2011 (link to video). 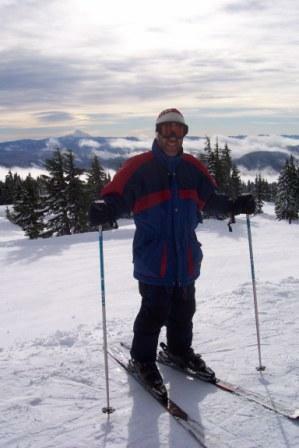 I was featured in an OHSU ad on healthcare reform in The Oregonian from Sunday, February 21, 2011. OHSU's eight principles for healthcare reform include "more effective deployment of information technology, including but not limited to portable electronic health care records." The tally for 10x10 ("ten by ten") at the end of 2010. AMIA site announces future offerings of the course. More information is available. Video and slides of an updated version of my talk, Informatics Now Lives in a HITECH World, given at OHSU Biomedical Informatics Conference on September 30, 2010. An Op-Ed column about healthcare reform in our local newspaper, The Oregonian, on October 11, 2010. Informatics Now Lives in a HITECH World - my latest version of my informatics overview talk given at Health Informatics Grand Rounds, University of Michigan, February 26, 2010 (video of talk). Talk about the OHSU collaboration with Hospital Italiano of Buenos Aires, funded by the NIH Fogarty International Center, on June 2, 2010. I had a fun interchange (and 20-minute audio interview) about the ONC workforce programs with Anthony Guerra, who runs the healthsystemCIO.com blog. Comments at a press event on February 16, 2010 in Washington, DC devoted to a special issue of Health Affairs about eHealth in the Developing World. The issue included a paper by myself and some South American colleagues. See also a related posting on my blog. I published a paper in BMC Medical Informatics & Decision Making that defines the major terminology of the field of biomedical and health informatics. I was interviewed on ReachMD XM Radio: http://www.reachmd.com/xmsegment.aspx?sid=4565.